This Four Way Adapter is made to work with the CU1Z Ultra Automatic Charger. The CU4A has four output connections to the six pin jacks on the Batteries (the same place the Batteries connect to the Pack). 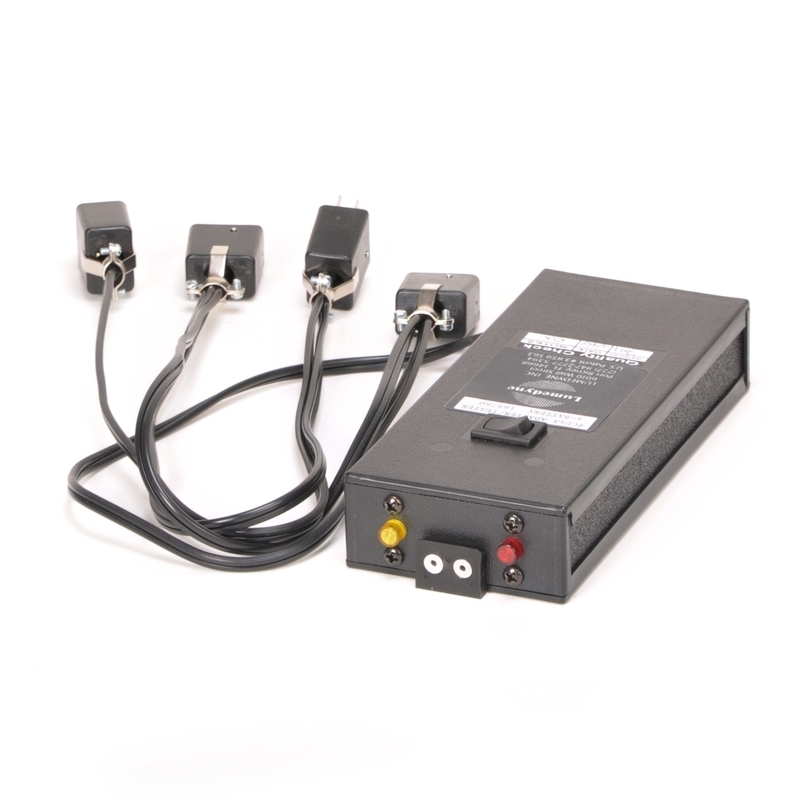 Any four sizes and charge levels of NiCd or NiMh Batteries can be mixed together on the Adapter. This combination is not for DIY Batteries or for the Lithium LiFePo4 Batteries. 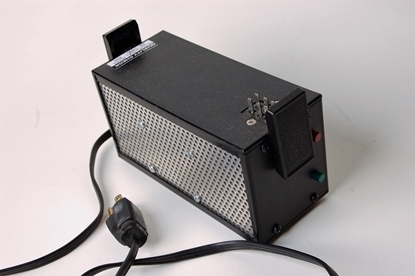 Because the Charger is voltage sensitive, the CU4A has a reset button on top to start the process any time that the charging should start again. If you leave the Batteries connected, everyday the Charger will top them off and all the Batteries should be kept at full charge and ready whenever you want them. This is the easiest way to keep Batteries ready to go. The CU4A has a yellow indicator that shows that the Batteries connected have reached a full charge. If this yellow light does not come on or turns off before the next day, then something is wrong and the Batteries should be checked individually to find the problem. The second indicator on the CU4A is the red light that would turn off right away if a bad Battery is connected. The Charger will go to sleep for the day after about one minute of trying to charge a bad Battery but when it sleeps, the Charger will show red and green lights which is the same as if the Battery was properly charged and the Charger is sleeping. That’s when the lights on the CU4A would help you to see that there was a problem. Then you can get the bad Battery out of the mix because it will cause all of the Batteries to not get properly charged.